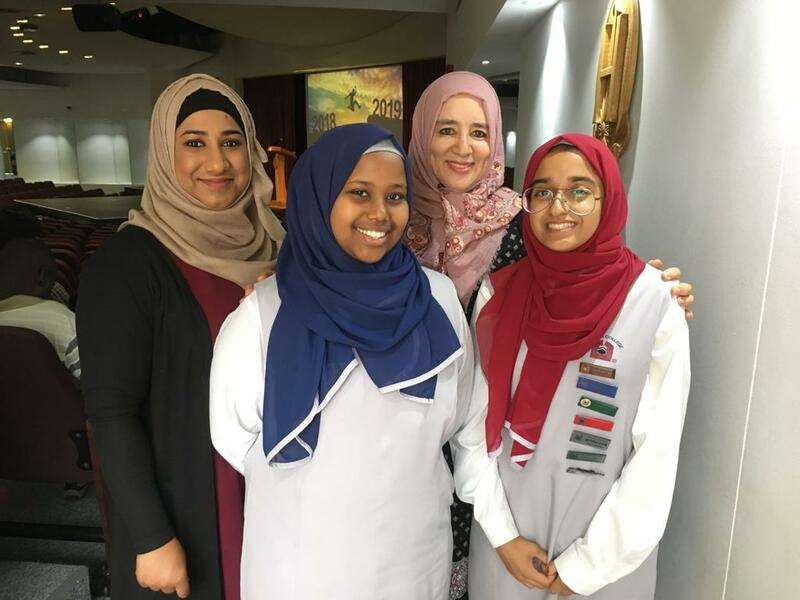 On the 23rd of February 2019 the 2019 English Symposium was held at Herschel Girls’ School where Zaiba Sulaiman, the National Poetry for Life 2018 First Prize Winner, and Ekran Noor, the MJC Islamic Eisteddfod 2018 First Prize Winner, represented Islamia College. They were the only learners who were invited by the WCED, Metro Central Education District to recite the poems which won them each their First Prize positions. It was indeed a great honour and they delivered excellent recitals of their poems. They represented Islamia College well and held Islamia’s flag high. They are very talented and added great value to our school as it was a proud moment for us. After the event, they were approached by educators from other schools who praised them and requested copies of Ekran Noor’s poem titled ‘The Pen is Mightier than the Sword’ which they want to use to encourage and inspire their learners. It was such a huge compliment for Ekran. May we continue to encourage our learners and grant them the platform to showcase their talents, Insha’Allah. Alhamdulilah, Islamia College also received a certificate for a 100% Pass Rate for English Home Language in the National Senior Certificate Examination 2018.